Theres something so alluring about a skeleton key. In addition to its classic shape, it has an air of mystery, and opens up the possibility of treasure, elegance, romance and so much more. So, Porreda took the skeleton key design and amped it up with an antique copper finish and a useful bottle opener edge. And, the end result is a winner! 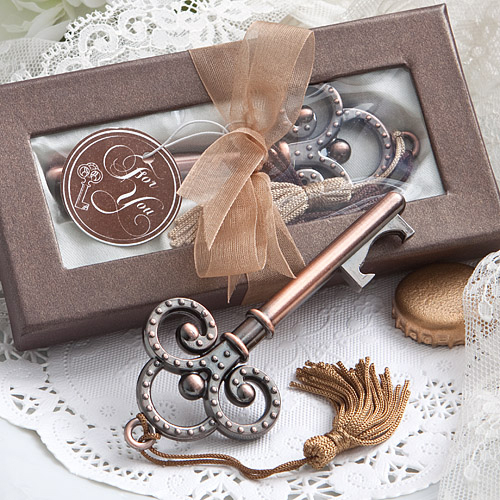 Crafted in antique copper coloured metal in a classic skeleton key shape, distinctively detailed with an intricate multi ringed design top with a beaded/dot texture.